The constellation of Cepheus, the King of Ethiopia, is best viewed in Fall during the month of October. 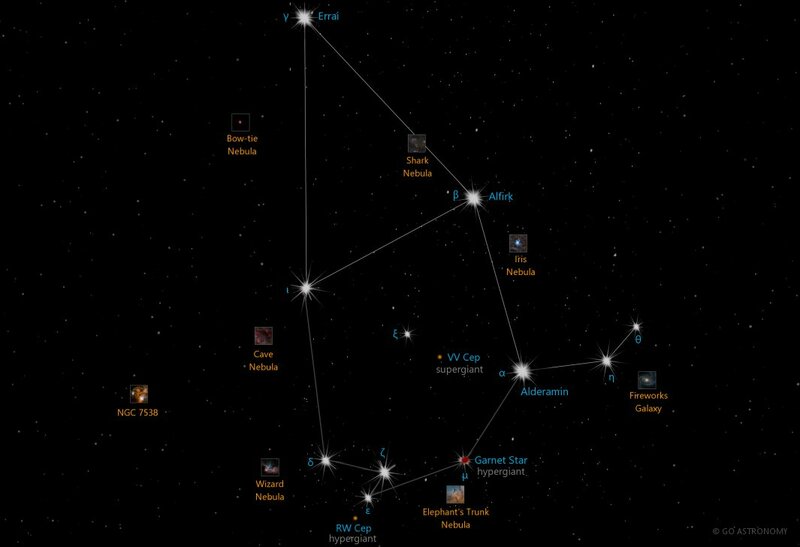 It's brightest star is Alderamin at magnitude 2.45. The boundary of the Cepheus constellation contains 3 stars that host known exoplanets. Orange hypergiant RW Cephei is the 5th largest known star in the universe at 1,500 times the size of the Sun.